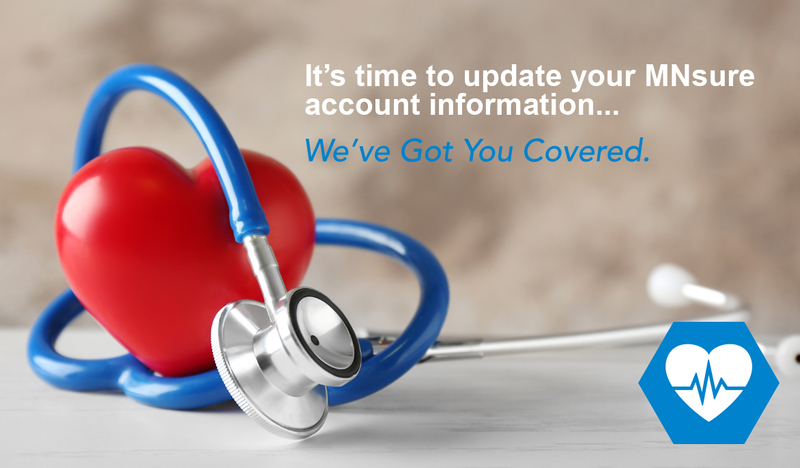 As tax season comes to a close, we’d like to remind those who have purchased a health insurance plan through MNsure to consider updating your account information. If your income changed from the previous tax period, this should be reported to MNsure so that your advance premium tax credit can be adjusted. This will help avoid a surprise when you file your taxes next year. Other changes that should be reported immediately are a change in household size, tax filing status, change in jobs or a change in your address. Please check the Rights and Responsibilities page. Make sure you read the Notices about rights and responsibilities for the type of plan you have. The notices provide details on the type of changes to report as well as the period of time within which you are required to report changes. Click here to email Ben or call 507.223.5280 so he can assist you with reporting changes.